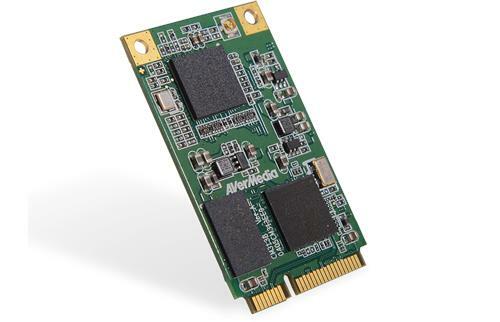 AVerMedia today announces the release of another rugged Mini PCI Express capture card that is designed and tested to capture high-quality video in extreme temperatures ranging from -40°C to 85°C (-40°F to 185°F). The brand new CM313BW card is designed to capture video from SDI sources. 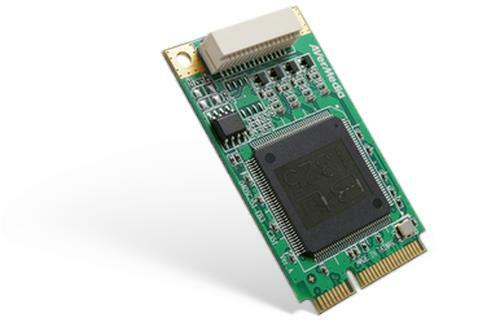 This card will join AVerMedia's existing wide-temperature cards – the C351W card, which captures video from Composite sources, and the C353W card, which captures from both HDMI and VGA sources. Various tasks are often performed in harsh environmental conditions. 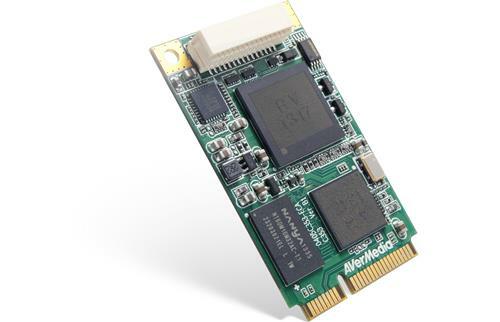 AVerMedia's new CM313BW card (like our existing C353W and C351W cards) is specifically designed to be thermally resilient for these extreme industrial applications. By being able to function perfectly in a very wide range of temperatures (-40°C ~ 85°C, or -40°F ~ 185°F) these cards ensure reliable and stable high-quality video capturing in extreme temperature conditions. The compact form factor of the Mini PCI Express card fits perfectly into small-footprint embedded systems. These cards also consume less power, resulting in a more energy-efficient solution. These AVerMedia cards feature vibration-proof build quality and their locking holes are specifically designed for in-vehicle, military, and industrial applications. The existing C353W card and the new CM313BW cards come equipped with an advanced, built-in H.264 hardware encoder, enabling the system to encode and maintain high video quality, without impacting the CPU. This feature increases the system’s reliability. As a result, the C353W and CM313BW cards significantly reduce the performance drain on a system's hardware and software, helping the system focus on other important tasks. The existing C351W card features four parallel composite video input interfaces, allowing for more versatility within this compact card. With 4-channel input, the C351W can simultaneously capture up to four video channels at the highest performance levels, for great video quality and efficiency. AVerMedia is the leader in Digital Video and Audio Convergence Technology. Aside from the full line of TV Tuners and gaming recorder products, AVerMedia provides video capture cards, streaming encoders and video systems for consumer and corporate markets. As a leader in innovative manufacturing and environmentally friendly products, AVerMedia is also highly involved in community and social responsibilities. AVerMedia also partners with ODMs for the development of AVerMedia’s technologies for integrated applications.